Today on Mombies Unite, Morgan is talking about the tension of balancing personal identity and parenthood. 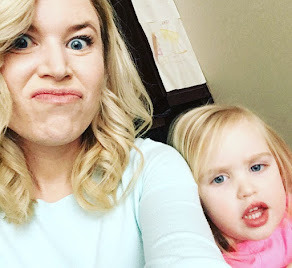 Even though every mom's choices are as varied as the incredible women rocking this motherhood business, reading Morgan's thought process as she describes her journey to embrace this stage of life with littles at home is a beautiful reminder to have confidence in what is best for ourselves and our families, whatever that may look like. Meet Morgan. 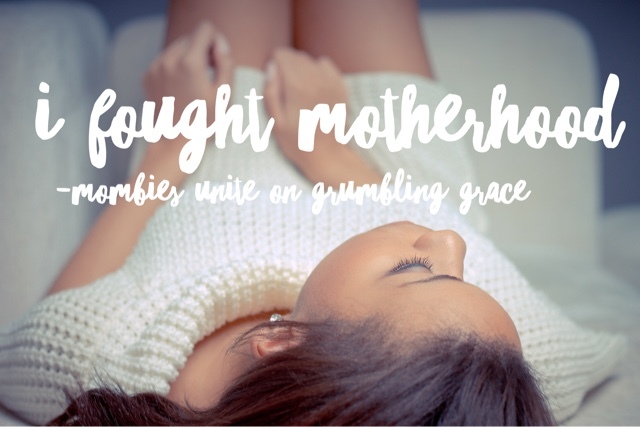 I'll let her introduce her lovely self... Hi lovely readers of Grumbling Grace! I'm a wife and mama to two babies who is passionate about city living, eating and making delicious food and living simply. I write about all of those things and more over at momointhe6.com. I met Abbie two years ago when we were both serving with our husbands on a medical missions trip in rural Kenya. We immediately hit it off over our mutual love and passion for life, travelling, food, babies (I didn’t have one at that point) and our shared sarcasm. 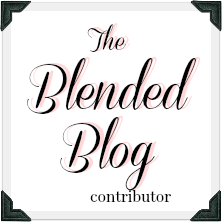 I am thrilled to be apart of this guest series on her blog! With a background in opera and theatre, Morgan is the most gorgeous boy mama of Irish twins (Finn and Atticus) around and she is as vivacious and kind as she is lovely. Morgan's thoughtful ideas on minimalism and living simply have been an inspiration to me in my Less is More downsizing. I enjoy getting glimpses inside her stylish world as she lives small in the big city of Toronto and I love the words she's sharing with us today. I fought it for the first 17 months of being a mom. I didn't like (and still don't love) the stigmas of being a stay-at-home mom. Until I had Atticus I was all like "Hey, I'm Morgan and I am x, y and z, and oh yeah... I do all that and have a kid as well.” Now that Ace has joined our family my responsibilities have doubled and who am I kidding, I am no longer able to balance everything I used to. After having Finn, I found that when you have a child and decide that you will stay at home to raise them and not go back to work people assume you left your goals, interests and ambitions in the delivery room. I live in Toronto, which is a white-collar city that is very career driven and it is highly unusual to stay home with your children post maternity leave. There is a lot of pressure from the media and other women that makes you feel like your choice to not go back to work is anti-feminist and that you should prove to the world that you can do both. I have often felt the need to justify my reasons for staying home based on circumstance - be it my husband's busy hours (he works 90 hour work weeks and often works 26 hour shifts), or the closeness in age of our two boys, or the fact that I am a musician and that my returning to work wouldn't even come close to covering the insane cost of daycare in the city. And all of those things are true, but more than that I want to be home with my boys. There, I said it. I have fought saying that and offered every excuse listed above and more when asked whether I will go back to work. But, I want to be here. I want to be at home. I love being at home and making our home beautiful, making delicious food and organizing. They make me tick and I am passionate about them. I want to be my kids primary moral influence and I want to be there for all of their little milestones. Sure, there are a lot of days where I long to not change diapers or be covered in spit up, or more importantly for adult interaction (amiright!?) but that day will come and it will come sooner than I would like. How often I hear from the generations above me to "enjoy this season, because it goes by so fast"! And it does. Finn is already a year and a half old. He will be in school in the blink of an eye and I want to be there to experience all the little moments leading up to that and to prepare him emotionally, mentally and spiritually for all that school and teachers and other kids (etc.) will bring. I feel so blessed to be in a position where I can stay home with my kids, I know that that is not everyone's situation and I don't take it for granted. I have a huge respect for women who can juggle both career and family, it is no small task! Heck, had I not gotten pregnant with Ace when Finn was 8 months old I probably would have gone back to work somewhere part-time. It is crucial to have strong women in the workplace who rock their jobs and love their husband and kids. Many of the women in my life are career women and are some of my biggest role models and I admire them. I watched my own mom balance raising three kids while running her own design company and she has inspired me in so many ways. However, I have found that having Ace, having a second child has made me succumb to the inevitability that yes, I am a mother and now that I have two kids my hands are so full of my mothering responsibilities that I need to and will embrace them happily and wholeheartedly. 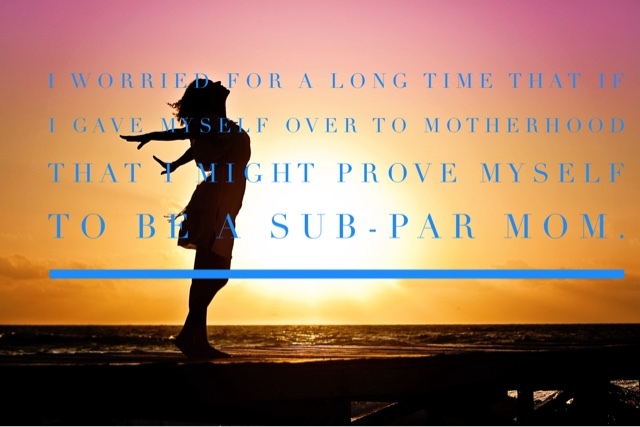 I think I worried for a long time that if I gave myself over to motherhood that I might prove myself to be a sub-par mom. I want to do this mothering thing well. I want to be a good mom who cares for her family and takes care of herself. I write because I need a creative outlet. I cook because it's inspiring for me and I love creating delicious and healthy food for my family. I do endless amounts of laundry and wash dishes to make our house feel like a home for our family. I work out to feel good and to model what a strong woman is to my boys. I read because sometimes I just need to remove myself from the chaos and dive into a reality other than my own. I talk to my kids about Jesus because I want them to know that their value is found in something and Someone so much greater than what the world has to offer them. I am a mom, and a million other things. But motherhood is what I am called to do right now and I am embracing it and will give it everything I have, because it is worth it. YES YES YES. Embrace the mom life that is best for YOU! Why not take a minute to show Morgan some love by commenting below or sharing her encouraging words? Don't forget to check out Morgan's beautiful blog momointhe6.com and why not follow her on Instagram, Facebook and Twitter!